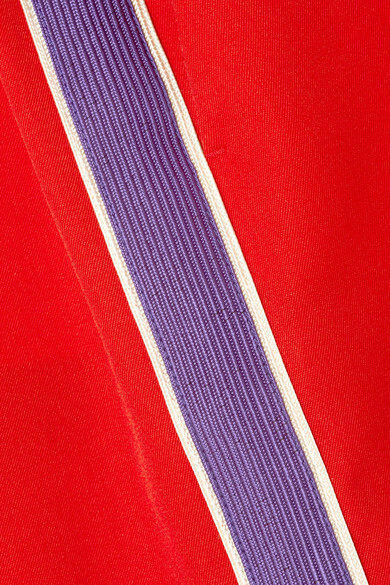 Collegiate stripes have become a hallmark of Raf Simons' reign at CALVIN KLEIN 205W39NYC, and the brand's Resort '19 collection is filled with them. 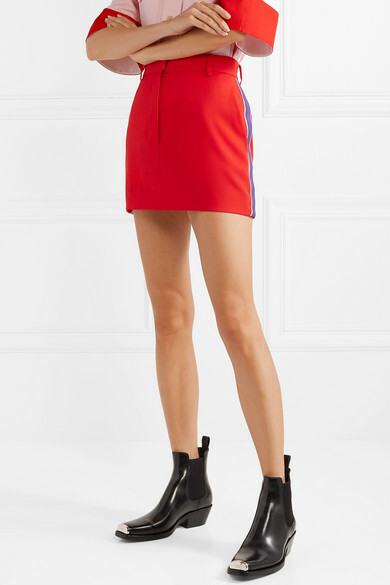 From the lineup, this mini skirt has been made in Italy from bright red wool-twill and trimmed along the side with webbed striping. Wear it with a tucked-in shirt and ankle boots. Shown here with: CALVIN KLEIN 205W39NYC Shirt, CALVIN KLEIN 205W39NYC Ankle boots.